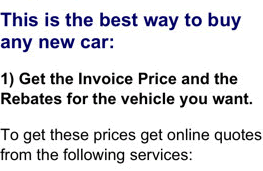 The invoice price & true dealer cost are not the same. The true dealer cost of a Toyota RAV4 is lower. Note: The Toyota RAV4 pricing report below does not include rebates or incentives. 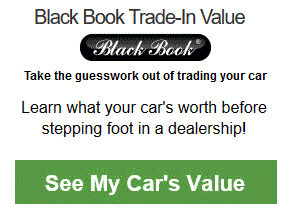 View Toyota Rebates and Incentives. 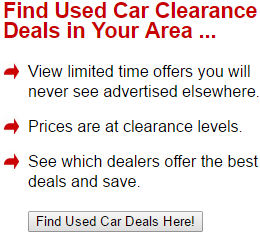 Toyota RAV4 Prices - How Much is a Toyota RAV4? Compact crossovers are all the rage nowadays, and for 2019, Toyota gives its most successful crossover a much-needed refresh. Is the 2019 Toyota Rav4 the new king of the subcompact crossovers? The 2019 Toyota Rav4 receives a number of updates and gets a complete redesign now sporting an aggressive sporty and off-road-ready look. The off-road readiness doesn’t stop there as the new Rav4 gives would-be off-roaders an option to choose between 8.4 to 8.6 inches of ground clearance depending on the model. The new Rav4 now comes with a new grill and bumper design fitted with LED headlamps. Halogen projector fog lamps are standard for all except the base LE model. 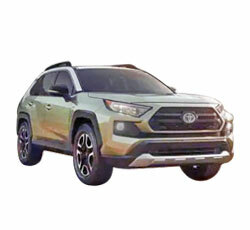 Boxy wheel arches give the Rav4 an aggressive look and the unique bumper and grill design of the Adventure trim is reminiscent of the Tacoma. The gasoline-powered 2.5-liter 203-horsepower 8-speed automatic comes in a variety of configurations that come available in all trims. It can be had both in FWD, standard AWD, and an AWD with torque vectoring. FWD and standard AWD are available in the base LE, XLE, and XLE Premium trims. The Limited and the Adventure trim AWD come equipped with torque vectoring which basically works like a limited slip differential. This also gives the ability to divert 50% of engine power to either one or both of the rear wheels, a feature most usable in off-road and snowy situations. Both the FWD and the AWD are rated at a combined 29 miles per gallon and the AWD with torque vectoring drops fuel economy by 2 mpg. The 2019 Toyota Rav4 Hybrid version comes in four trims: the base LE, XLE, XSE, and Limited. The 2.5-liter engine paired with a motor generator unit produces 219 horsepower and an estimated 240 lb-ft of torque. For people planning on getting a hybrid version, one thing to note is that the rear wheels in the hybrid actually have no physical connection to the engine. They are run by an independent rear axle that produces 54 horsepower and 89 lb-ft of torque. This means that, in cases where the rear wheel demands power, the engine would need to be revved higher to provide sufficient power to the mechanical generator. The discrimination towards hybrid cars are slowly coming to an end as it is the Hybrid version of the Rav4 that gives both the best performance, quickest acceleration, and best fuel economy. 0 to 60 in with the Hybrid XSE AWD version is a full second faster than the gasoline variant. It also gives a fuel rating of 41 in the city, 37 on the highway, for a combined rating of 39 miles per gallon. The 2019 Toyota Rav4 gets an updated interior with soft padding all around an infotainment system fitted with Apple CarPlay and navigation available on all trims. The cabin is littered with nooks and storage spaces for everyday clutter with center storage that is bigger than most of the competition. Passengers would enjoy generous headroom and legroom and a reclining feature. The rear cargo area is spacious giving 36.7 cubic feet of space with the seats up. Toyota has not given a number for cargo with the seats down. • The Base LE model is fitted with 17-inch steel wheels with daytime running lights and LED headlights. Occupants will enjoy a 7-inch infotainment system seated on manually adjusting cloth seats, a rear-view camera. • Alloy wheels become standard on the XLE along with fog lamps, heated mirrors with turn signals and blind spot monitoring, smart entry with push button start, heated seats, rear passenger air vents, and a regular moon roof. • Stepping up to the XLE Premium and the Rav4 will come with 19-inch chrome alloy rims, faux leather seats, power driver seats with two-way lumbar support, additional 12-volt power connections, and a power lift gate. • The top-of-the-line Limited trim gives buyers chrome accent on door handles and tailgate, an 8-inch display, 7-inch gauge display, two-person memory seating, dynamic trajectory, and a digital rearview mirror. • The Adventure trim is the odd one and comes only in all-wheel-drive with features such as power outlets in the cargo area, a unique front fascia design, a 3,500-lb towing capacity, and taller wheel arches. Many of these features come only as options in other brands. New for 2019 is an upgraded pedestrian detection system, lane-keeping assist, and road sign assist; rear cross traffic detection comes as an option as well. Getting behind the wheel of the 2019 Toyota Rav4 and drivers will notice the smooth and responsive power delivery from the 8-speed automatic. Dampened suspension and a relatively quiet cabin make it a pleasure to ride around town or on the highway. The hybrid version provides a generous amount of torque. The gasoline engine paired with the electric motor gives linear power and provides maximum acceleration for a sporty driving feel. The torque vectoring on AWD models are noticeable on twisty mountain roads but the difference is not night and day. People may notice a slight increase in the weight of the steering but other than that, the ride quality remains superb. The new 2019 Toyota Rav4 is a stylish and practical compact crossover that will not only meet the demands of new car owners but also exceed it. 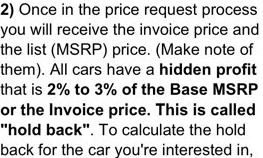 Example: Base Toyota RAV4 invoice price + the dealer Invoice price of all the options + destination - Holdback = Total Dealer Cost. Note: All Toyota RAV4 MSRP, invoice and dealer cost dollar figures above are approximate amounts. Prices are subject to change without notice.